What do you do when you have a squillion and one things on your to-do list and deadlines breathing down your neck? Why, you start crocheting a random shawl, of course. Despite the fact you’ve never worn a shawl in your life. And summer is approaching, and said shawl could not possibly be worn for another six months. Hello, my name is Marina and I’m a terrible procrastinator. Well, actually I’m a darn good one. It’s my habit of procrastinating that’s terrible, and it seems the more urgent the tasks hanging over my head are, the more likely I am to skive off and do something else completely. It’s as if the weight of everything hanging over my head paralyses me and makes me incapable of doing anything. I am enjoying crocheting again, though! And the situation isn’t quite as dire as I’m painting it. I’ve written two scenes in Moonborn since my last post. Should have been more, of course, but two is better than none, and I only have five to go. I’ve finished the read-through of the first draft of Fairytale Curse 2, which is the first step in my revision process. I also finished up a beta read of a friend’s novel, so I haven’t spent all my time crocheting. Funny thing about that, though. I realised some time ago that all my creative pursuits have fallen by the wayside since I got serious about this writing thing. No more quilting, crochet or scrapbooking. Each of those has been a huge part of my life at one time or another, and I miss the colour. I’m a very visual person. I love playing with fabric, and seeing a piece of art emerge under my hands. It still thrills me when I look over a piece of crochet forming and marvel that this object is taking shape from a single strand of yarn. I miss the tactile nature of practical crafts. Making up worlds and people in your head is a very different kind of creativity, and even though I love that, life has felt like it’s missing something since I started focusing so exclusively on it. And sometimes, particularly when deadlines are looming, even the most creative enterprise can still feel like work. That’s when a hobby, something you do just for fun, no pressure, can be a wonderful release. 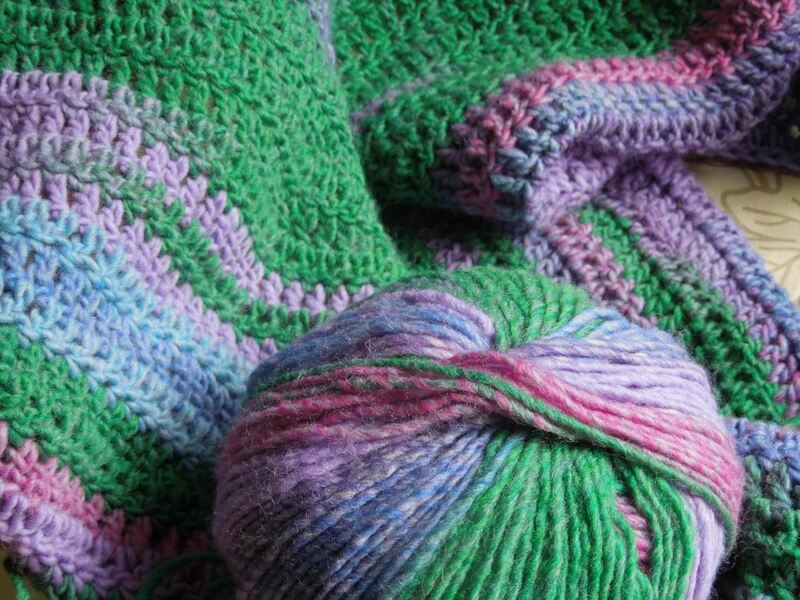 Whether it’s baking, woodwork, gardening or crochet, there’s nothing like the feeling of creating something with your hands, and the quiet, contemplative nature of such creation makes a great stress release. So maybe my shawl wasn’t so random. Maybe it’s my subconscious’s way of telling me to stop and smell the roses a little. That’s my excuse, anyway, and I’m sticking to it! What activities do you turn to when you need to chill out? October: Finish drafting Moonborn. Plan the revision of the second Fairytale Curse book and decide on its title. 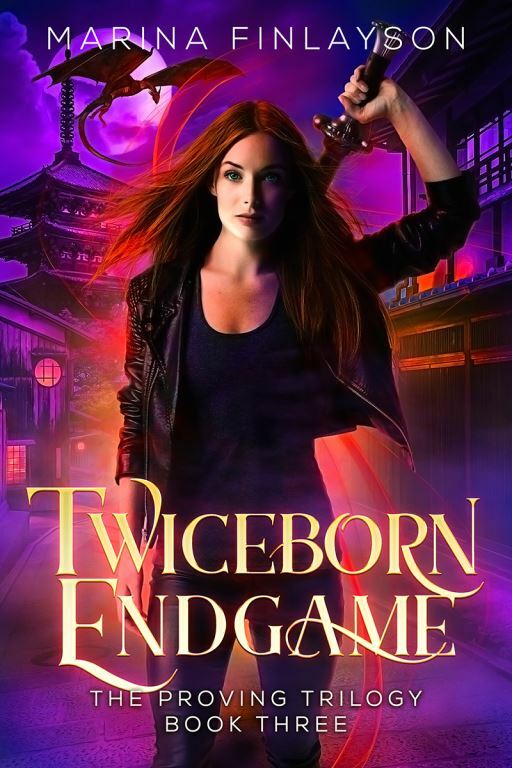 Incorporate beta readers’ feedback into Twiceborn Endgame. November: Nanowrimo time, yay! Draft a new novel. Incorporate editor’s feedback into Twiceborn Endgame, publish it and organise promo. Liaise with the cover designer for the second Fairytale Curse book. December: Collapse in a heap once Nano’s over. Revise Moonborn. Possibly even publish it, but most likely Christmas madness will intervene. To help keep myself accountable, I’m joining in the final Round of Words in 80 Days, the writing challenge that knows you have a life. That will encourage me to blog more than once a month, too. Lots to do, and we’re running out of year! All the usual end-of-year things will start soon, including Baby Duck’s graduation from primary school. I can’t believe my baby will be in high school next year! It will be the end of an era for our family, with no one left in primary school. Next year will also be Drama Duck’s last year in high school, so more big adventures are on the horizon. And some kind soul pointed out to me on the weekend that it’s only nine weeks until Christmas. Aargh! Weetbix as an artform? Breakfast is never just breakfast at our house. 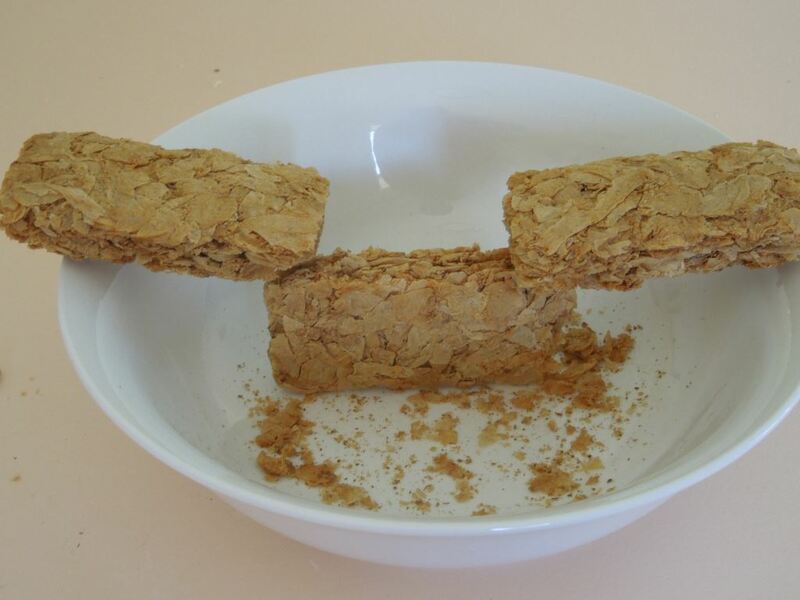 It’s an opportunity for whoever gets there first to leave a Weetbix artwork for the other. And given my general dislike of mornings, it’s usually the Carnivore leaving gifts for me. Some mornings it’s a simple stack, or a triangle. Stonehenge is a popular choice, though sometimes it looks more lik Pi, with a bit of a lean on one of the legs. Occasionally we have a flying Weetbix bird. Or maybe it’s a biplane. What do you think? And then there is that elusive beast, the Weetbix bridge. This miracle of balance and engineering is the rarest of masterpieces, often sought, but rarely achieved. Both the Carnivore and his apprentice, Baby Duck, were celebrating success when I came out for breakfast the other morning. 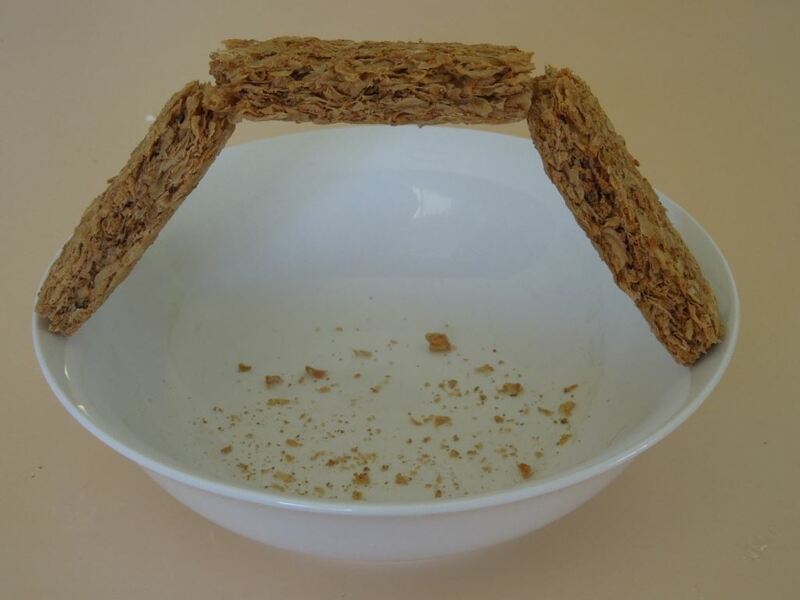 It occurred to me the other day that relationships are full of Weetbix bridges—little things that people do for each other, for no other reason than to make the other person smile. Silly little rituals that only have meaning for the people involved, that are just another way to say “I love you”. Relationships, particularly longstanding ones, are full of in-jokes and personal histories that make them unique, and it’s capturing exactly these sorts of things in writing fiction that can make characters appear to be real people. And besides, they’re fun! 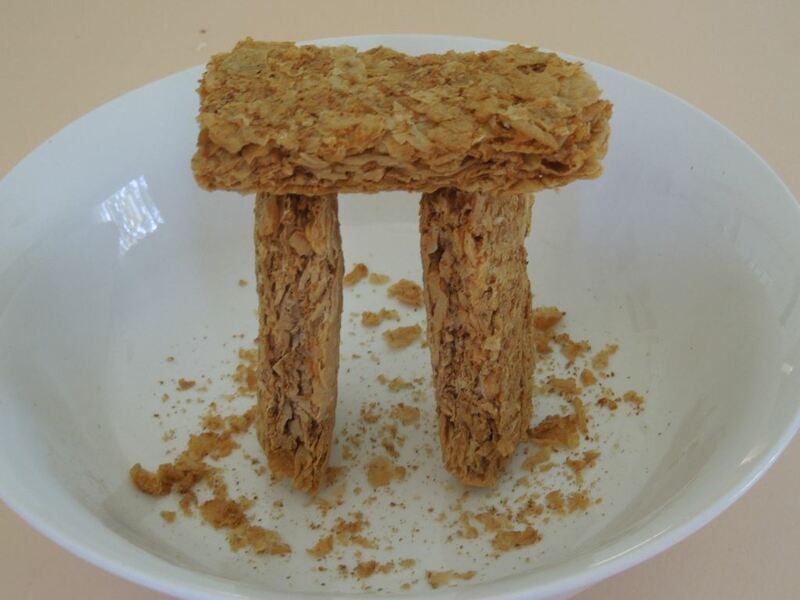 Do you have any little personal rituals, any “Weetbix bridges”, of your own? Share them in the comments! Giant fantasy and sci fi bonanza! Comments Off on Giant fantasy and sci fi bonanza! 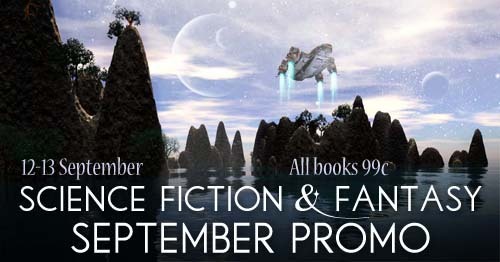 This weekend, the 12th-13th September, sees a great sale for fans of fantasy and science fiction. Aussie author Patty Jansen has organised a whole bunch of indie authors, who are all discounting books this weekend. 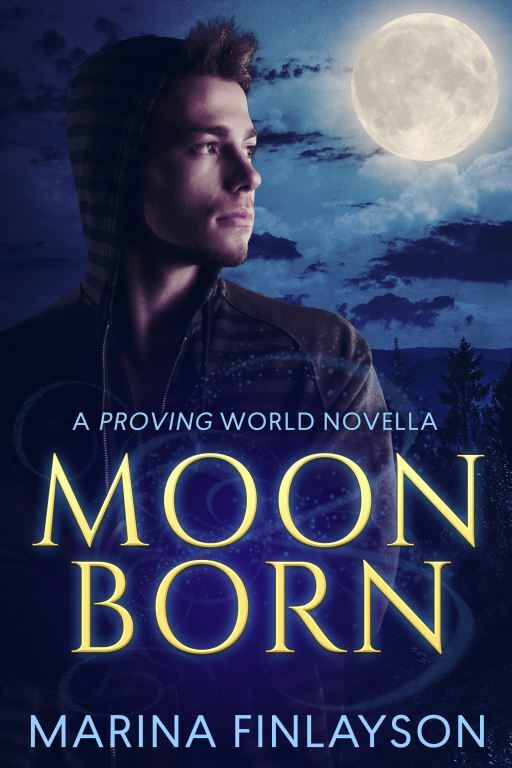 There are over forty books at the bargain price of 99 cents, including my own Twiceborn , plus several more which are the first in their series at the unbeatable price of free! There’s a range of books, from epic fantasy to urban fantasy, horror to science fiction, so there’s something for everyone. I have my eye on a few of these, and will be picking up some bargains myself. And if you like epic fantasy, I can highly recommend Pauline Ross’s The Fire Mages , which I’ve read and loved. I’ve read a couple of Patty’s too, though not the ones she has for sale here, and she tells a great story. At the end of 2013 I bought a beautiful 2014 diary. I put it away somewhere safe and promptly forgot all about it, so I didn’t actually start using it until August 2014. When it came time to buy a diary for this year, I couldn’t find anything I liked, and there was this gorgeous 2014 diary, barely used … so I repurposed the 2014 diary and have been using it all year. This week I have arrived at the point where I started using the diary last year. It’s like breaking open a time capsule, to see the items on my to-do lists this time last year. Things like “pay the orthodontist”. One year and thousands of dollars later, my daughter now has beautiful, braces-free teeth. Hallelujah! Or “tidy desk”. Sadly that one still needs to be on the to-do list, as my desk is never tidy. But the most fun is seeing where I was at with my writing one year ago. I was making corrections to Twiceborn, putting the finishing touches on it. I was revising The Twiceborn Queen and trying to plan the third book in the series, then known as Twiceborn 3. Publishing was still a scary thing I was working towards, with things like “start mailing list” and “work on website” making regular appearances on my to-do lists. I remember well the feeling of nervousness: every step of the way there seemed to be some new program to learn, or another process to master. And now, here we are, one year later. Twiceborn and The Twiceborn Queen have both been published. It’s quite a thrill, even now, to see those real live books lying on my still-untidy desk and know that I wrote them. They are both finding readers, which is lovely, and have been generally well received. I’m hard at work on “Twiceborn 3”, which is now called Twiceborn Endgame, so the end of the series is in sight. There are other books, too, waiting in the wings. 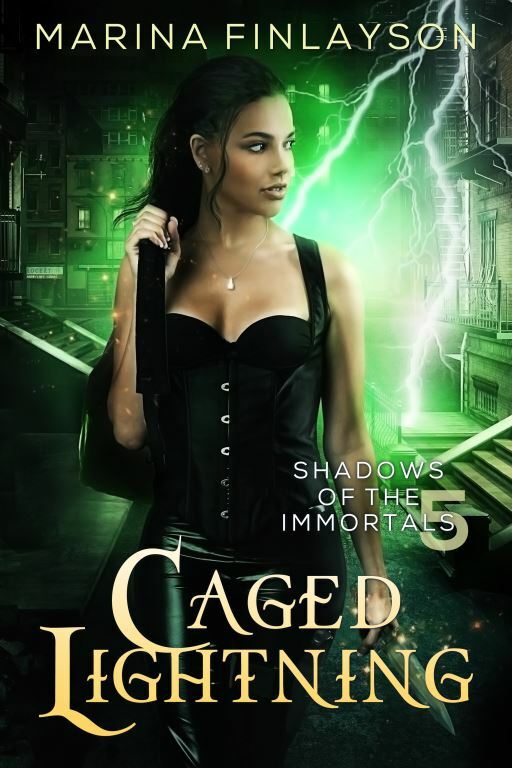 The first book of a new series has gone out for beta reading. It’s based on one of my favourite fairy tales, Toads and Diamonds, and I’m very excited to bring that one out. Can’t wait to show you the cover—it’s absolutely divine! One year on, I’m finally feeling comfortable with the publishing process. I’m certainly no expert, but it’s good to get past the fear and uncertainty to a place where I know what I’m doing, more or less. I’ve made some wonderful author friends along the way too, who have helped me find my feet, and it’s great to have people to share the journey with. I wish I could go back a year and add an item to those nervous to-do lists: “don’t panic; it will all work out”. But I probably wouldn’t have listened. Too busy panicking. So, you’ve published your first book—congratulations! That’s a huge achievement. Enjoy that feeling of accomplishment. But not for too long! Your readers will be waiting for the next book, particularly if the first one was the start of a series. That should make it easier, right? If you’re writing a series, you’ve already introduced the main characters and set up some worldbuilding. Maybe you’ve even introduced a series-long problem for your main character to solve. If you’re really lucky, you might already know what the second book is going to be about. Piece of cake! Take The Twiceborn Queen. The mystery of Kate’s memory loss and what was really going on there, plus a big plot twist I won’t mention in case you haven’t read Twiceborn yet, were the things that made Twiceborn such fun to write. But those things were dealt with in Book 1, and Book 2 was going to be a much more straightforward action adventure as a result. I knew who Kate’s two main rivals were, and that by the end of the book she needed to defeat them. But how? And what was the rest of the story going to be about? “Kate defeats X and Y” is only five words long after all, and I needed about 90,000 words to make the book about the same length as Twiceborn. What were the other 89,995 going to say? In fact, I was so uninspired that I took a year off and wrote a different book that had nothing to do with Kate and her problems, one that I felt enthused about writing. Meanwhile The Twiceborn Queen hung over my head, making me feel all kinds of inadequate. I’d loved writing Twiceborn! Why did the thought of continuing the story make my brain cells run screaming for cover? Maybe it’s just me, and other writers don’t have this trouble. But maybe second-bookitis is a thing, and it might be helpful to some other writer to hear how I got over this horrible affliction. First off I started by listing all the unresolved issues and sources of ongoing friction that remained from Book 1. 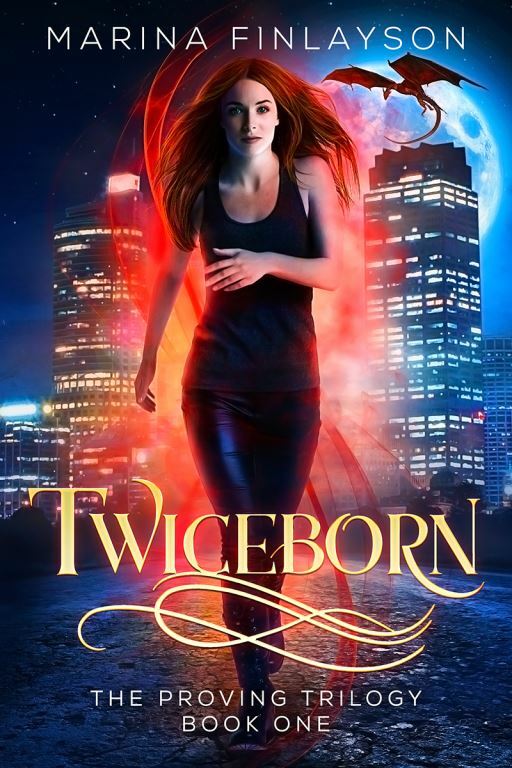 Twiceborn was a complete story in itself, but I’d left a few loose threads hanging in the larger, trilogy-spanning story. Then I brainstormed for each one, thinking of all the possible things that could happen as a result. Don’t censor your ideas at this stage! Write down everything that occurs to you, even if it seems like crap. Sometimes that crap will spark some of your best ideas. Try to stretch a bit, and think of some really outlandish possibilities. It’s all grist to your imagination’s mill. Some of the ideas I came up with were clearly never going to fly, but I highlighted the ones that seemed useable, and at least the beginnings of a story started to emerge. I jumped in and started writing. Things went along quite well for a while, but eventually I got stuck again. This is the part where having at least one completed novel under your belt really helps. You know you can do this, because you’ve done it before. Cast your mind back to what helped you when you got stuck on the first one. Long soaky baths? Going for walks? Timed writing exercises? Bouncing ideas off a friend? Whatever it was, try that now. In my case, I remembered the planning stages of Twiceborn, and how much fun I’d had researching some new and different mythological creatures for my shifters. So I tried that again, and came across the kitsune, the fox-women of Japan. I’d read about them as a child, but never seen them in an adult fantasy. The decision to include one led the plot in a whole new direction, and gave me a very important new character. Even better, it got me excited about writing this book. Writing a book is a marathon, not a sprint. If you’re not bursting with excitement at the start, making it to the end is an even bigger feat of endurance. So try to get back to that “this is gonna be so cool” feeling. What made you want to write the book in the first place? What was that initial idea that was so good you just had to turn it into a book? Hopefully by the time you get to the end you’ll find, as I did with The Twiceborn Queen, that you’re completely in love with this new book, even though a couple of months before you had no ideas and zero enthusiasm. It’s like a magic trick. You’ve created something out of nothing! Congratulations! You’ve done it again. But don’t rest on your laurels—there’s still Book 3 to write! 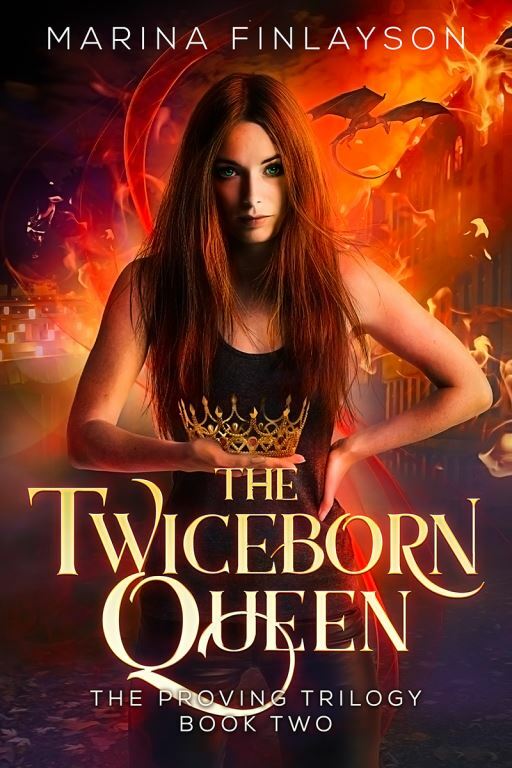 The Twiceborn Queen cover reveal! Comments Off on The Twiceborn Queen cover reveal! Finally! After months of work—more months than I’d hoped, due to the whooping cough making everything take sooo much looooonger—The Twiceborn Queen is almost ready for release. “Kate O’Connor’s had a rough week. 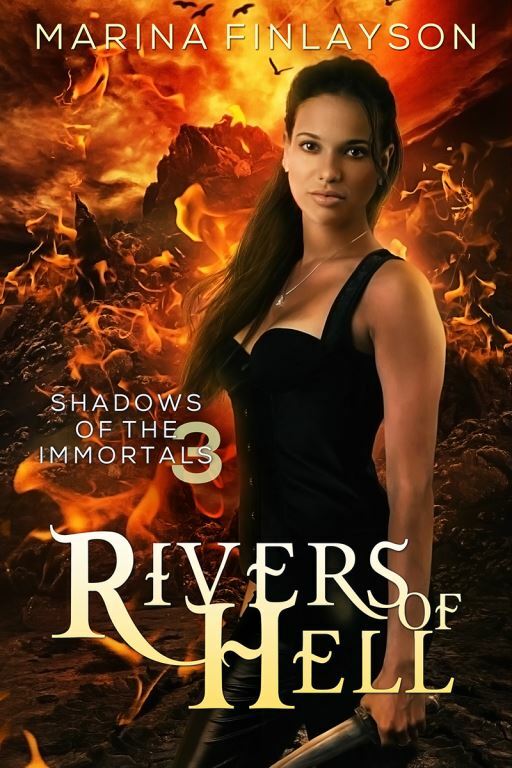 Thrown into the middle of a war of succession between the daughters of the dragon queen, her introduction to the hidden world of the shifters almost proved fatal. 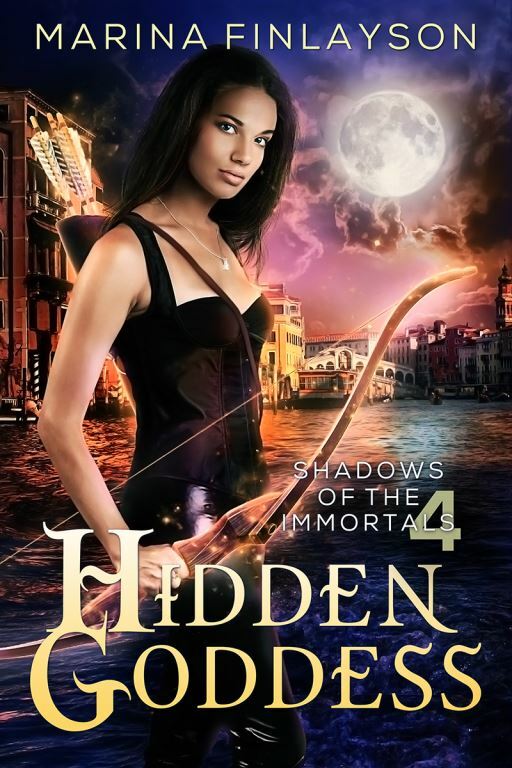 Now, because of Kate and her new powers, that hidden realm has been revealed to the world, which hasn’t exactly won Kate any popularity contests. Still, it’s not all bad news. After all, it’s not every day you regain a loved one you thought lost forever. Throw in a hot new boyfriend, and suddenly Kate’s got a lot to live for—which is bad timing, because now the queen’s set a bounty on her head and every shifter in Sydney is trying to collect it. The book will be out next month. If you’d like to know when it’s released, and have the opportunity to buy it for only 99 cents, join my mailing list here. Can’t wait to share this book with you! Comments Off on Looking for a good book? With all the sparkle of a Jennifer Crusie novel, Midnight Confessions reels you in from the very first scene and doesn’t let go until the end. Jenna, still miserably in love with her ex, is nevertheless attending his engagement party when she meets Mitch, a soap star. Mitch isn’t really her type, and she’s still in love with the undeserving Drew anyway, but as a favour to her friend she agrees to go out with Mitch. Sometimes I wanted to shake Jenna! Mitch was so perfect, so patient and understanding, and so hot—did I mention the hotness? ?—and she was so determinedly looking for love in all the wrong places. But her obsession with Mr Wrong and the insecurity of her bruised heart were very believable. Jenna and Mitch were both great characters, and their verbal sparring was very amusing. In fact, the narration all the way through, told from Jenna’s point of view, was very entertaining. How could you not love a book whose first line is: “The only reason I even agreed to come to Drew’s engagement party was so I could see if his fiancee is prettier than me”? Jenna is an easy heroine to get behind: her insecurities and her yearning for a lost love would be familiar to most women, and by the end of the book I was rooting for her to sort herself out and find happiness with the delectable Mitch. You know how people are always complaining that fantasy worlds shouldn’t be so patriarchal just because most of them are modelled on the Middle Ages, and that someone should write a fantasy where the women have true equality in society? Well, someone has. Her name is Pauline M Ross, and the book is The Fire Mages. 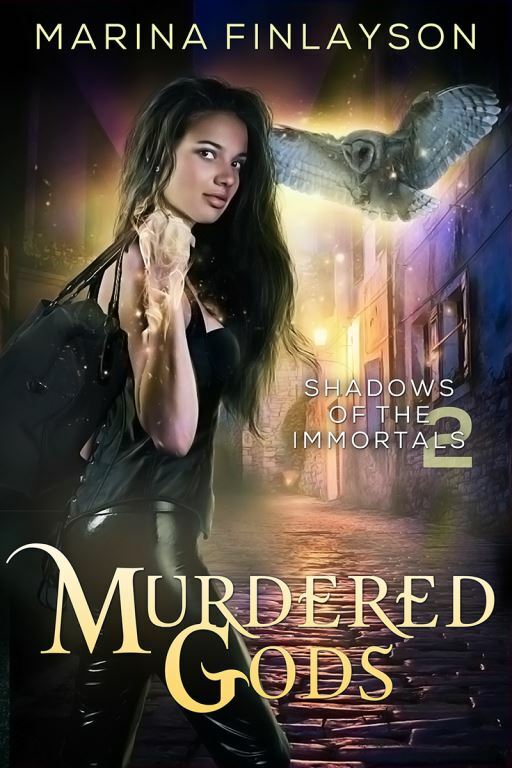 It’s a great read, full of magic and adventure, and tells the story of Kyra, a very level-headed young girl who has big ambitions to be a law scribe and wield magic through written spells. It’s a big dream for a village girl, but Kyra is prepared to work hard, and refuses to be turned aside from her plans. As the novel opens, the local lord’s steward throws the first roadblock in her way by bringing her an offer to become the lord’s drusse, a kind of legal mistress. Kyra’s mother sees the advantages of this position, but Kyra refuses to be swayed. Through sheer determination she makes it to the city and begins her training, rising through the ranks with her hard work. 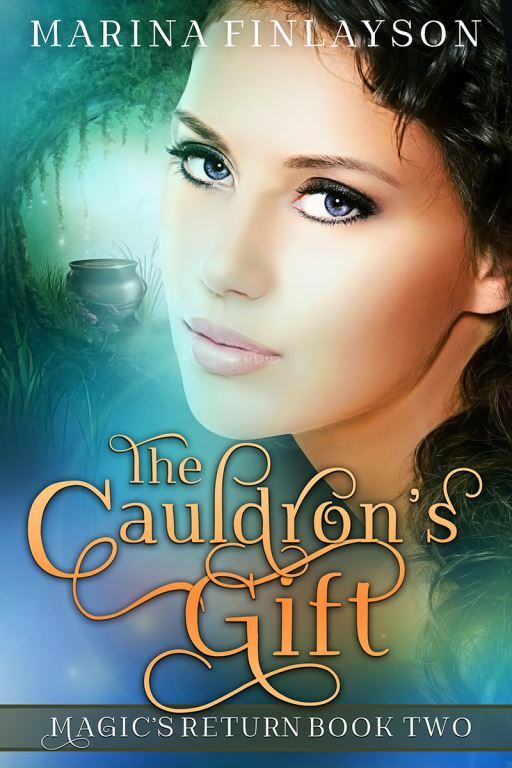 She even manages to find herself a powerful mage as patron, and everything seems to be going well, until the steward comes calling again, this time for her sister. Her sister agrees to become the lord’s drusse, but begs the half-trained Kyra for a simple favour. Of course it turns out to be anything but simple, and everything goes so wrong that Kyra’s dreams are shattered. 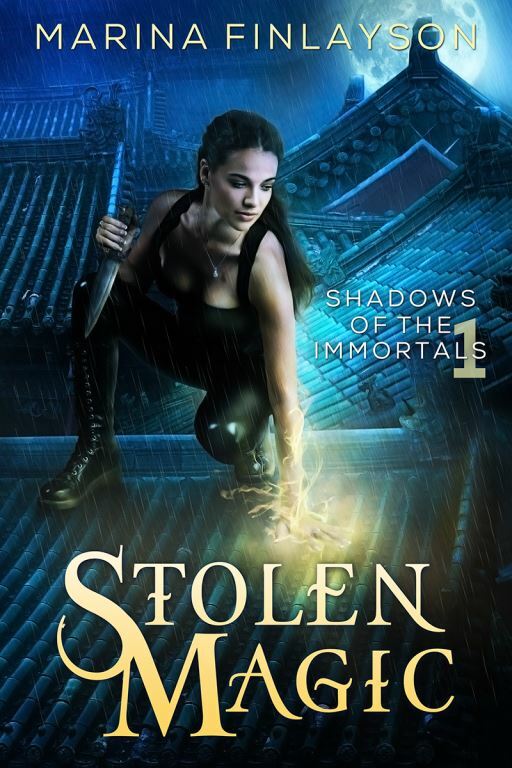 In her quest to find out what went wrong, Kyra discovers power she had never dreamed of, and uncovers the mysteries of the deadly Imperial City of the ancient mages. She faces many dangers along the way, and does so with a refreshing pragmatism. There are no hysterics for this capable young woman. I loved Kyra’s world. It was full of women being real people, not just serving wenches and prostitutes. There were female stablehands, translators, wagoners, inn managers and guards—just about any job you could imagine had women working alongside the men. In a nice touch, there were even male “companions” to be bought for a night’s pleasure at the inns, as well as female ones. How’s that for equality? It certainly made a nice change from the usual male-dominated fantasy worlds. Throw in an interesting new magic system and you have a very well-developed world. Ross has obviously put a lot of thought into her society, its politics and its history. It’s a fascinating place, so I’m glad she has other books set in this world to explore. This one was certainly a compelling story. 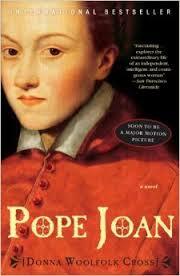 This was a novelisation of the life of the probably-real female pope, Pope Joan. So few records remain that historians cannot agree on whether she actually existed, and the “facts” of her life are few, so the author had lots of scope for invention. Her use, more than once, of amazing coincidences to get Joan out of trouble bothered me, but I couldn’t fault the historical side of the novel. She obviously did a lot of research, and has recreated the look and feel of an often-overlooked part of history, which made for a fascinating read. And, reading this book, you know why they called it “the Dark Ages”. Her vivid descriptions of the life people led back then, and the terrible attitudes and superstitions of society, made me very glad I didn’t live in those times. Everyone suffered, even the wealthy, but the poor lived short lives of deprivation and hardship. To be a poor woman was the worst of the worst, with men firmly convinced that women’s brains weren’t able to be educated–that even to try was a sin and an abomination–and that women were no more than a useful chattel. Joan, in desperation to escape this limited life, seizes her opportunity to impersonate her dead brother, and takes his place as a monk at a monastery, where her clever mind delights in learning. Thus her gender-bending life begins, a life that takes her all the way to the Church’s highest office, with no one any the wiser that “John Anglicus” is really a woman. I particularly enjoyed seeing the mindset of the people of those times. Though their attitudes were enough to make a modern woman grind her teeth, it was interesting to get a feel for how people saw the world in those times. These characters aren’t just modern people parading through the book in ninth century costumes. They truly are from another world. I’m glad that world is gone, but it was interesting to read about. I finished the first, most labour-intensive, revision, and am now halfway through the second one. With a bit of luck I’ll get through the rest of that tomorrow. Then it’s on to smaller-level stuff like smoothing out the prose and hunting down and exterminating overused words. I’ve already sent it to the beta readers, and will continue to work on it while I’m waiting for their feedback. The deadline to get it to the editor is the 1st of April, so I had to get the beta readers started on it before it was as beautiful as I would have liked. Feedback so far is encouraging. Nearly there now! I’m hoping to publish in late April or early May. Can’t wait to share it with you guys! “Sure.” I turned the mug over in my hands, wondering which was the lesser of the two evils: ignore the police and risk them chasing me up over the supposed burglary, or file a report and draw Det Hartley’s attention to a burglary complete with random blood stains connected to my already-sullied name. I choked. I hoped he hadn’t heard that. Werewolf ears were pretty sharp. “God, Tanya, don’t you ever stop? He’s just a friend.” And thanks very much for putting that idea in my head. As if my dragon libido needed any encouragement to start thinking inappropriate thoughts about my employees. Write a little about and give the first sentence of the first three chapters of your current work-in-progress. Nominate some other writer(s) to do the same. Ceinwen sounds very busy with all her projects at the moment! She’s a working scriptwriter (with fifteen Neighbours scripts under her belt) as well as the author of The Edge of the Woods, a YA fantasy which I loved. My review of that is here. I’m not working on quite so many things at once: basically I have two projects on the go. 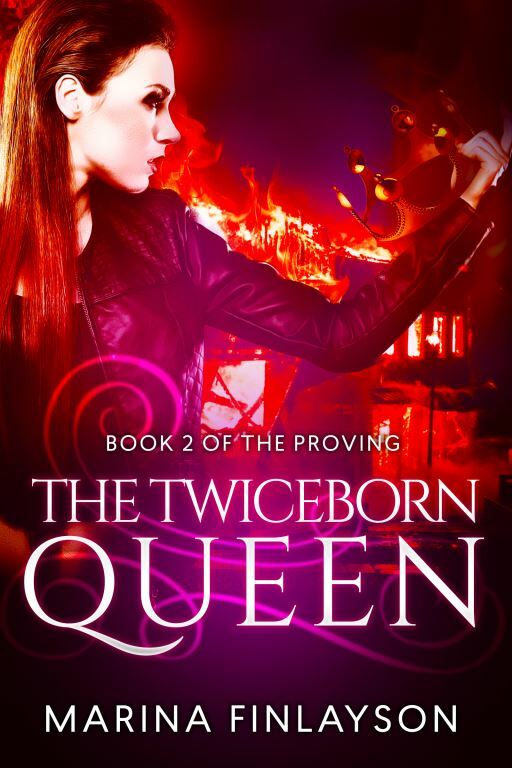 One is The Twiceborn Queen, the sequel to Twiceborn, which I’m busy revising. 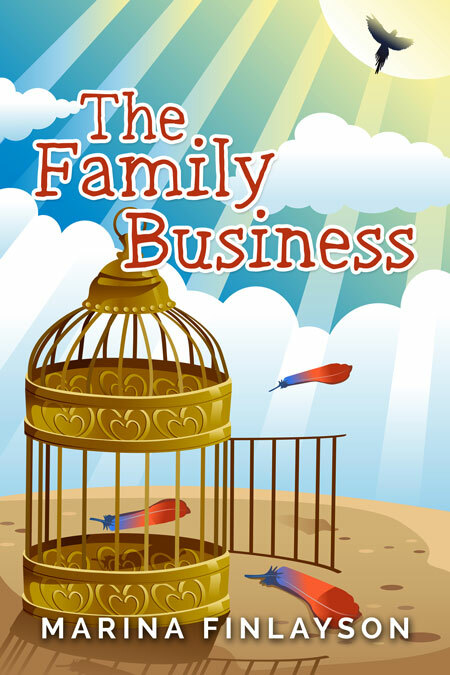 Only … not quite as busy as I should be, because I’ve got distracted planning the revision of the first in a new series. 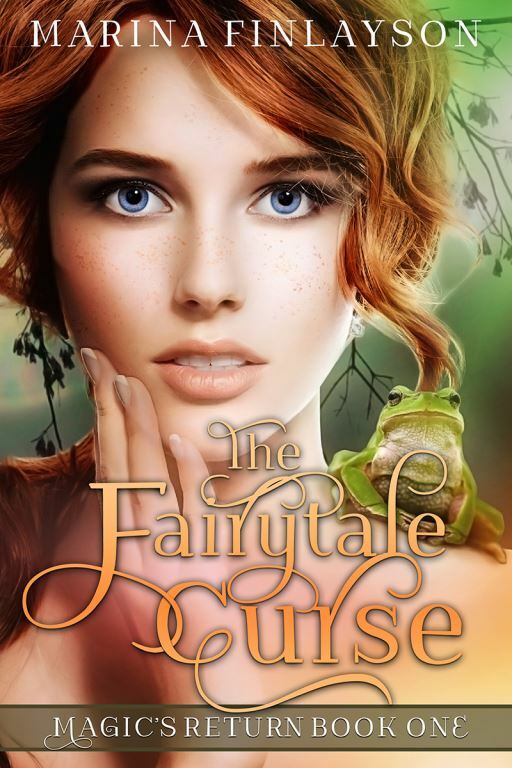 It’s a YA fantasy called The Fairytale Curse, and is a modern take on the fairytale Toads and Diamonds. I’m very excited about it, and OMG you should SEE the beautiful cover it’s going to have—but I’ll tell you about that another time. Back to The Twiceborn Queen, which I really must get finished very soon. I have eight scenes to go to finish the first (and biggest) round of revision. There’s no rest for the wicked, they say, and Kate must have been very wicked in a previous life, for no sooner does she achieve her (mainly) happy ending in Twiceborn, but she’s thrown straight back into the fray to face even more difficult challenges. Now she’s not just fighting for survival against the daughters of the dragon queen, but facing the queen herself, with all the might of the empire behind her. Not good odds when you only have a ragtag band of survivors on your side. And of course, being the sadistic author that I am, I throw all manner of complications in there, just for kicks. They say hindsight is 20:20 vision, but still I can’t help that niggling feeling, the one that whispers that I should have known. Mothers are supposed to have ESP, right? Or at least eyes in the backs of their heads. There must have been some sign that things weren’t right, some little clue to tip me off, if only I’d been paying more attention. We spent three more hours at the hospital, answering the questions of every uniform that went past, watching the parade of police and hospital staff coming and going. Photographers and forensics, and whole hordes of other people whose jobs I couldn’t even guess at, made their way into the room, then reappeared, checking me out as they went past as if they couldn’t quite believe what I’d done. We headed across the Harbour Bridge, its great steel girders criss-crossing above our heads, their huge size making the cars below look like tiny coloured toys. Five nights ago Valeria had been perched up there like some nightmare bird, even her great size diminished by the mighty bridge. Up next I’m nominating Pauline M Ross, author of the epic fantasies The Plains of Kallanash and The Fire Mages. I haven’t read The Plains of Kallanash yet, but I plan to remedy that soon. 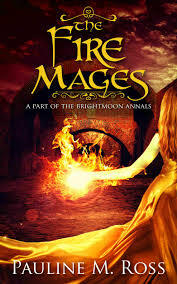 The Fire Mages was great, and I’ll be putting up a review of it shortly.